As lawyers argued, on Friday, over whether the court should grant an adjournment of the hearing of oral testimony in the election petitions case, the presiding judge noted the Court of Appeal order to hear the matter expeditiously. Carlos James, junior counsel for Sir Louis Straker and Montgomery Daniel — both of the ruling Unity Labour Party — whose election in Central Leeward and North Windward in the December 2015 polls are being challenged. Benjamin “Ben” Exeter and Lauron “Sharer” Baptiste of the main opposition New Democratic Party are asking the court to declare void, the announced election of Sir Louis and Daniel. The trial should have continued this week, Dec. 3 to 7, hearing oral testimonies from witnesses. James’ application for an adjournment was based on the claim that Grahame Bollers, senior counsel for those two respondents, was seriously ill and had been ordered by his doctor to rest. 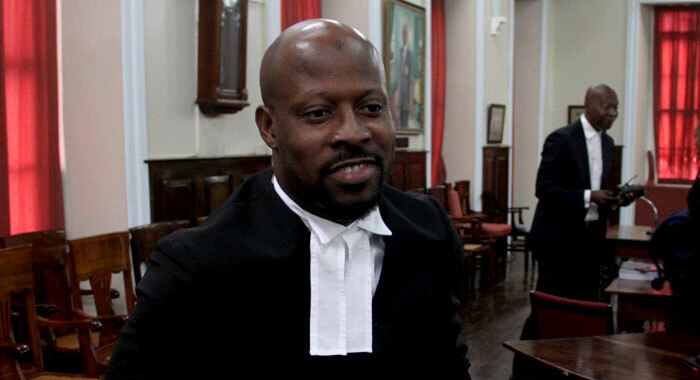 At the hearing at the High Court in Kingstown, Justice Esco Henry noted that James had submitted that Straker and Daniel would need time to consider whether they would need to engage new counsel. She asked James if he was in a position to indicate how much time his clients would need to do so. 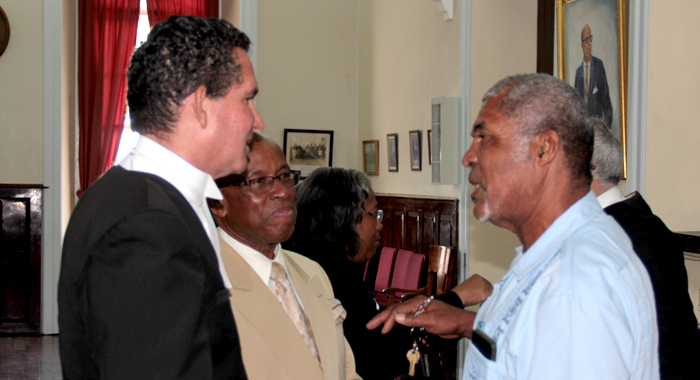 James said that counsel had had brief discussions with Daniel, Member of Parliament for North Windward, but Sir Louis, who is Member of Parliament for Central Leeward and deputy prime minister, was out of the jurisdiction. She asked him how much more time Daniel, who attended the sitting, would need to determine whether he would need to retain new counsel. James said that from the last discussions, there were two considerations, one being to monitor Bollers’ medical condition, and, in the alternative, consider seeking new counsel. He said that they might be able to make a determination after the Christmas period. “Mr. James, we haven’t entered December yet so we have the entire month before the year closes. And having regard to the urgency which the Court of Appeal resent this matter, I am under — arhm — orders to have this matter dealt with as expeditiously as possible,” Justice Henry said. iWitness News has seen court documents filed in support of James’ application, which say Bollers “has been becoming progressively unwell over the last three to four months, and experiencing symptoms not inconsistent with cardiovascular problems”. The petitions have been slowly winding their way through the court, having been reinstated in March 2017 when the Court of Appeal ruled that Justice Brian Cottle showed apparent bias in his June 2016 decision to dismiss the petition as improperly placed before the court. The Court of Appeal further ruled that the hearing of the petitions and motions to strike be remitted to the High Court to be heard by a different judge, as soon as possible. At Friday’s hearing, Justice Henry said that if Straker and Daniel want to proceed with Bollers as their lawyer, the documents before the court suggest that that it is “ill-advised”. 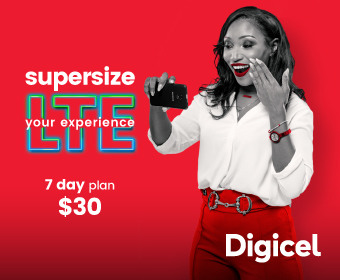 James said that Bollers is seeking an appointment outside of SVG and because of the specialised nature of the required physician, getting an appointment on short notice is proving particularly difficult. “But perhaps the first week in January there will be confirmation of his prognosis,” the lawyer said. Asked about the proposed adjourn dates, James told the court that that could be determined as soon as Sir Louis and Daniel receive the prognosis from Bollers. James then suggested a date in February. The judge further asked James, in view of the copious quantity of materials, whether he is in a position to signal how much time Sir Louis and Daniel would need to retain new counsel and, additionally, how much time new counsel would reasonably be expected to require to review and become familiar with the materials so that that person or those persons would be in a position to represent Straker and Daniel in the new year. James said that within two weeks of the date of last Friday’s hearing, Sir Louis and Daniel could have confirmation of new counsel being retained. He said that the new counsel would need an additional two weeks to be brought up to speed with the trial. 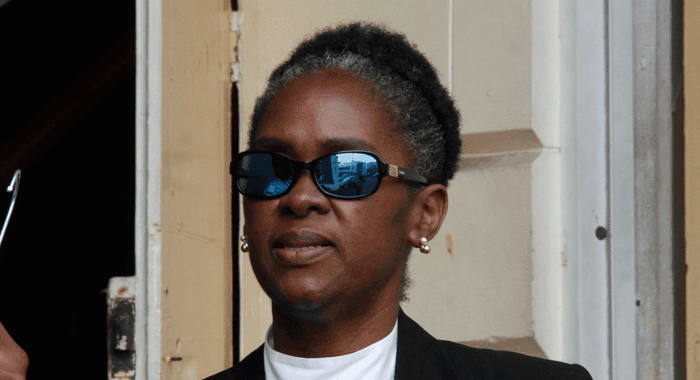 Speaking on behalf of Exeter and Baptiste, counsel Kay Bacchus-Baptiste told the court that the timeline suggested by James appears to be reasonable in the circumstances. She further said that the petitioners are ready to proceed and if Feb. 11, as had been proposed, was the earliest available date, the petitioners would settle for that. At the end of the hearing, the judge set Feb. 11 to March 1 as the dates for the next hearing of the trial. What if the Judge rules in favor of the plaintiffs? What would the consequence be? Would the defendants then be taken into custody? Stay tuned for the continuation next year. I am sure that the medical condition of the respondent’s senior counsel is legitimate, The judge seems to be doing her job very well, to include stating that February is too late. It has already been how many years since the election? How many lawyers are involved for the respondents? Are they not familiar with EVERY aspect of the case? Part of leadership includes decisiveness and these respondents are allegedly Political Representatives. They however, lack decisiveness, making them poor leaders, unless the decision is merely to continue to delay. Fortunately the judge will have none of it. Kay Baptiste should not acquiesce to the respondents tactics. 1. 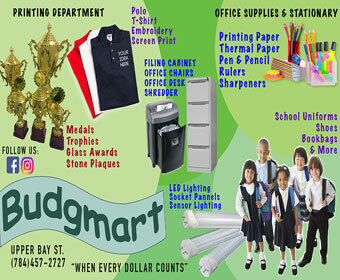 Nothing is ever done expeditiously in our “just now” Caribbean civilization. 2. A man like Bollers could easily get “now for now” heart treatment overseas. I cannot wait until the substantive matters in this case is heard. It’s long overdue. Sickness aside, I hope there are no further adjournments. The issues should have been put to bed a long time ago!